Thanks for stopping by my blog today! I hope you had a wonderful and blessed Christmas. Maybe you are still enjoying your holiday! I have actually been able to use some of my holiday break (meaning not having to tote my children back and forth to school) to do some creative projects. I am all about making and preserving memories for my family and others. It is one of my favorite things! Handmade things are by far the best. So I am sharing one of the small project I was able to do for Christmas this year. My creative ideas are usually inspired by something I see. This is why I LOVE Pintrest! Pintrest is like a candy store for creative people like me. You can pick and choose what you like, add it to your "treat bag" and create your own combination. There are so many ideas there! I love doing this because I will find two or even three ideas that I will combine and put my own creative spin on. I began a tradition years ago when I met my husband by giving him a Christmas ornament with the year on it. When our kids came along I continued this tradition with them as well. Now I'm sure you know most Christmas ornaments are not cheep. Early in the season I found my three ornaments, for my husband my son and daughter. I really wasn't happy with them and I am pretty frugal. I always ask myself how can I make something like this cheaper (when possible). And this isn't just to save money but it makes it more meaningful and special. So I came up with my own project inspired by the the above photo found on Pinterest. And in the end I took the store bought ornaments back to the store. This is the completed project using mini child letter blocks found in the ONE SPOT at Target for $3 (score!). The reverse side I adhered a photo of each of my children. I started by gluing the mini blocks together, spelling out my son and daughters names. Then painted them with white craft acrylic paint. I inked the edges with Chocolate brown to give it an aged look. Then used a bronze Sharpie marker to outline the letters. I use a stencil (you can hand draw) 2013 on the blank blocks next to their name (shown in the first photo of the finished project). On the back side I added a strip of scrapbook paper using Mod Podge. I also added a wallet size (school) photo of each of my children (again using Mod Podge to give it a protective coating). So my end result was a bit bigger than a ornament or an over sized ornament at least! But non the less a great momento for 2013 and cost way less than a store bought ornament! I hope you found something to inspire your creativity this Christmas season! Its about time that you see a little bit of CREATIVE Mama. She has been in hibernation! I'm brining her out along with leftover goodies tucked away from M.K.MacGregor Designs of Christmas past. AND LOOK WHAT I FOUND! Handmade Gift tags and embellishments. Two years ago just before I decided to pack up M.K.MacGregor Designs I had made a ton of gift tags and embellishments. These are some of my leftovers! Christmas was always my busiest time (and sometimes a bit stressful) but also my most fun time of year. 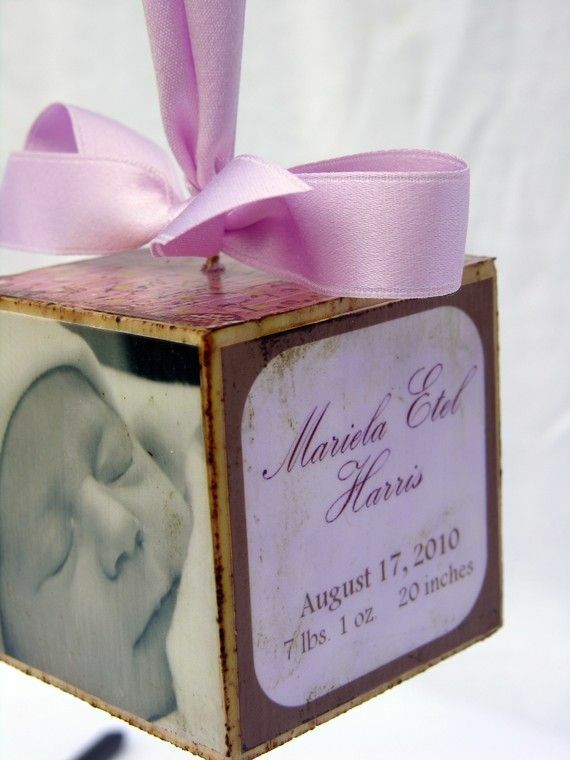 I had always put my heart and soul into the gifts I made for my clients! Also while digging I found a couple of items (of the few I have left) to give to my kiddos teachers and some special friends. Hand stamped coffee mug. "coffee and friends are a perfect blend." The first shows a gift that was one of my most favorite creations. A hand stamped coffee mug that reads, "coffee and friends make a perfect blend". My mugs always took some time to perfect therefore becoming a labor of love. I can't wait to give my last two to some special friends this year. The second photo shows some large jar candles decorated and embellished to make great teacher gifts. Ok, so these are not new creations! But for those of you who are just getting to know me you are getting to see a little bit of Creative and Designer Mama. I will have to say, although I truly miss my business I am enjoying less stressful and more relaxed Christmas seasons! But stay tuned because I am usually inspired to do at least one creative Christmas project/gift for my family! This years projects is in the works. My intention was to give you a blog post each week but last week was a long, hard, and busy week to say the least! This OCD Mama is still struggling with the new back to school routine. Though my mid-week left me feeling depleted (physically mentally and creatively) I still want nothing more than to be there for my kids. If you are a follower of my FaceBook page you know that last week was my daughters birthday. This celebration brought definite highs and lows to my week. I was able to spend time in my daughters class the day of her birthday bringing cupcakes to her and all her classmates. This was one of those definite blessing to not working outside the home. But on the other hand much of my busyness entailed preparations for her party on Saturday. Weeks ago I did what any crafty mama would do looking for inspiration for her sweet little girls Minnie Mouse birthday party....I went to Pintrest! Ah, yes Pintrest! My favorite place these days to feed my OCD mind. After all it is THE place to find all things to inspire ORGANIZATION, CREATIVE (projects), and DESIGN. There I found fabulous ideas for Minnie Mouse party favors, food ideas, decorations, even Minnie ears made from Oreo cookies. As the party got closer and my overloaded to-do list left me more overwhelmed, my grandiose ideas were replaced by simpler solutions. Though I thrive on being organized and get gritty over crafty projects I have discovered God is teaching me to let things go. Despite the fact that my daughters party turned out nothing like the vision in my head, she had a great birthday party. She and all her friends (actually mostly her brothers friends) had a blast. But I have a confession, though I am trying hard to let "some" things go in order to enjoy my kids more, I am still an OCD Mama through and through. I guess I just need to take my own " Wedding Planner" advice and give myself more time to plan. Maybe I should start on the Sweet 16 now! I want to know the cool and creative ideas and themes you have done for your kids birthdays. Leave me a comment and share how you got your ideas. Did it turn out how you envisioned? Tomorrow I hope to bring you a bonus blog post with some BIG NEWS! I want to share with you something I have been pondering and praying about for a couple months now! This is a life changing decision for me and I'm super excited to share it. So I hope you will come back tomorrow to read about it!